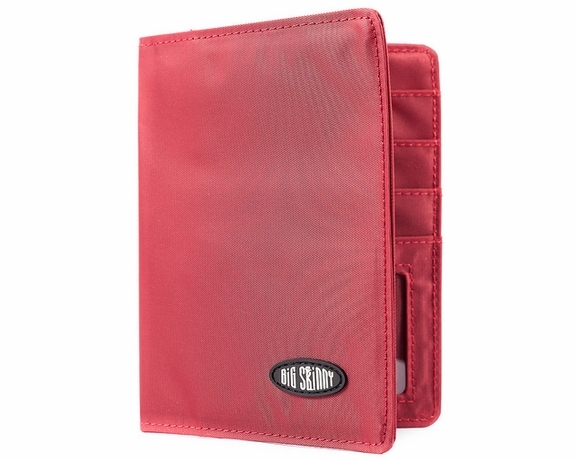 We call it our passport holder extraordinaire, because this super slim, lightweight passport case from Big Skinny can hold so much more than your travel documents. 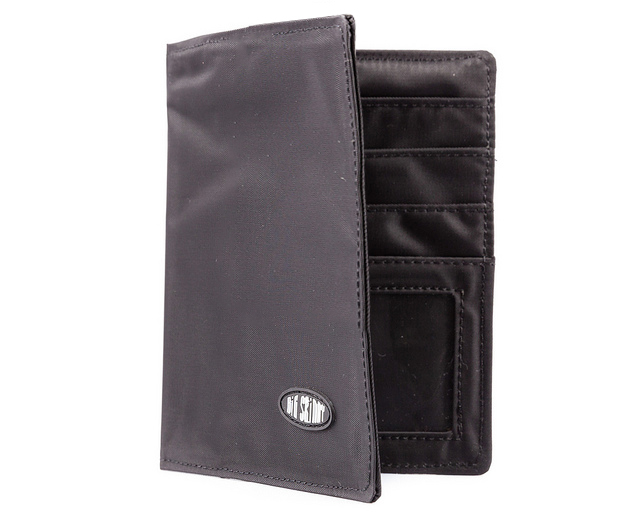 Our passport holder has extra-wide pockets inside that are each treated with our exclusive non-slip coating to secure up to two passports, credit cards, ID cards, tickets, boarding passes and other international travel essentials. 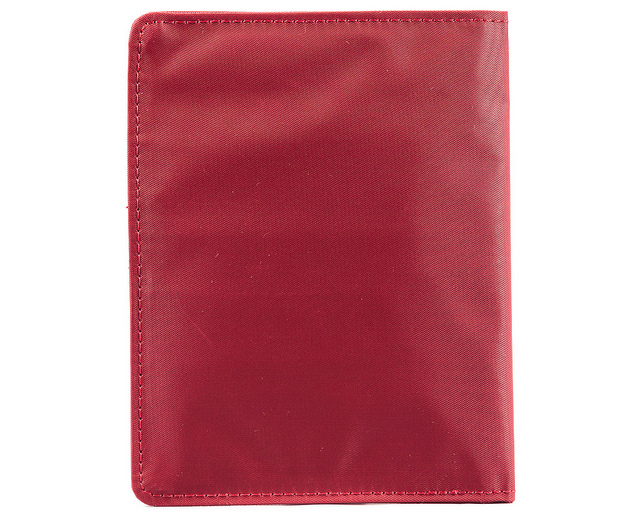 Our passport holder, available in cocktail red or tuxedo black, has two over-sized hidden storage pockets to secure your passports. 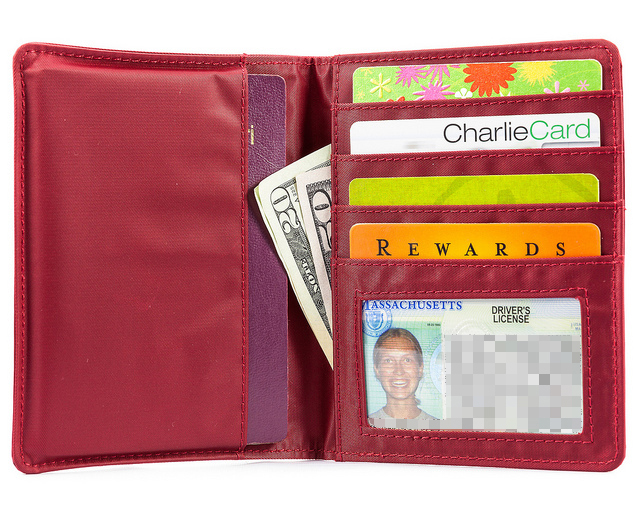 Also inside are three extra-wide credit card pockets and one extra-wide clear ID card pocket. With all those pockets, it's only one-eighth of an inch thick when closed. Order yours in our standard size of 4 1/4 inches by 5 1/2 inches. It's the perfect gift for your globe-trotting friends. 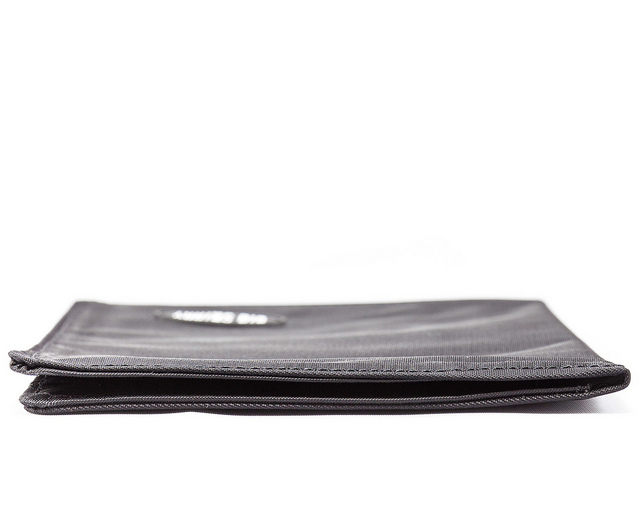 Slim design holds all cards and passport needed when traveling. Bright color makes it easy to find. ProsAll my card fit in with protective sleeves. Passport was easy to put in and remove. We can carry our 2 passports, money and credit cards. A great help to keep us organized on the road. So easy to remove from your pocket. I have a summer and winter version of the 15+ pocket jackets and vest that you use for traveling to avoid having to pack and pay for an extra bag. 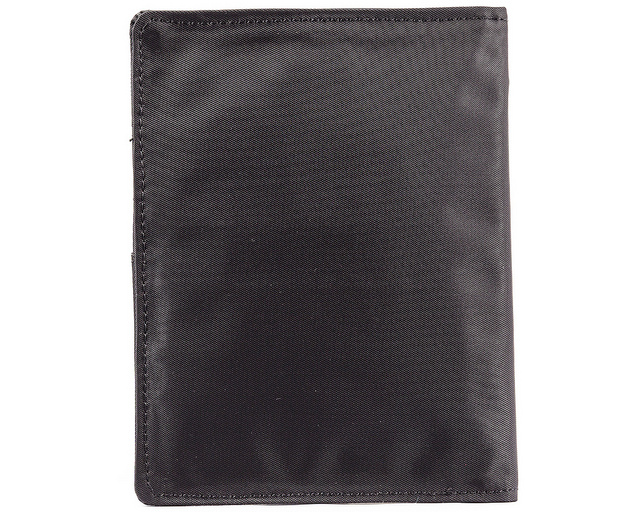 They come with a chest passport pocket, but it was always hard to get our passports out quickly and with ease. 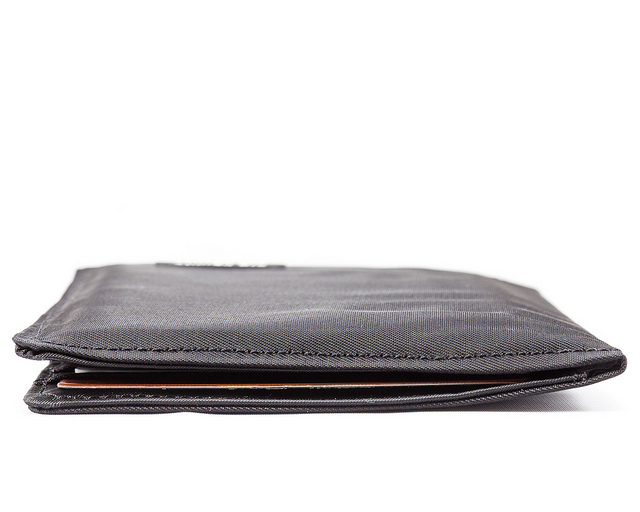 The Big Skinny passport holder has solved that issue with it's thin size and silky material. 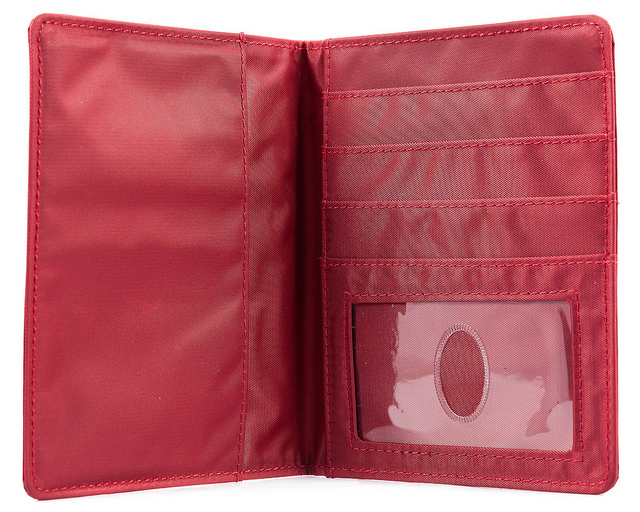 It easily holds both of our passports, and other important travel documents. I love the red color, makiing it easy to locate. As always, Big Skinny comes thru. I love their products. ProsFits easily in pockets. Slides out with little effort Holds a LOT, while staying slim. I have just received this passport today. It is made with the same high quality I have enjoyed in their products over the past 7 years. There was one slight problem. I wanted RFID protection, but wanted to use the individual RFID-blocking sleeves. 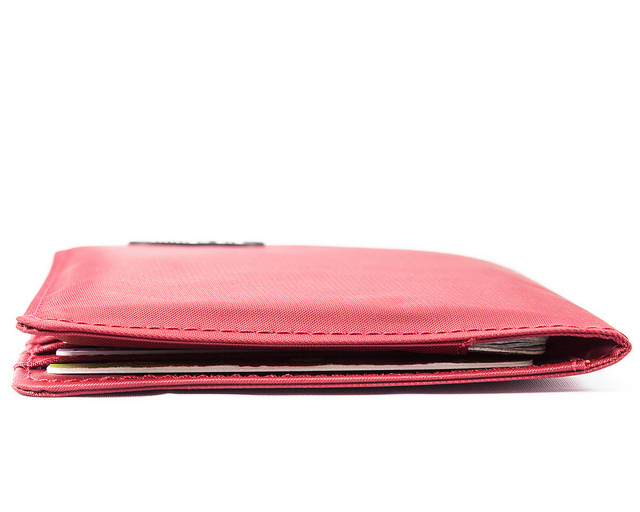 If you have this wallet, the sleeves will not fit. 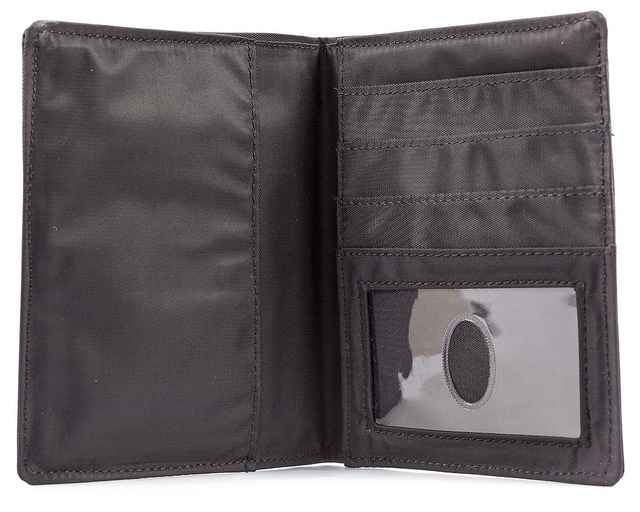 You will have to buy the RFID wallet to get that protection. ProsBigSkinny's usual high quality of workmanship and materials. I am going to Costa Rica in about two months. I can't wait to use it but I already put my passport on it. I can't wait. The material is nice and light. I just hope it last for a long time. 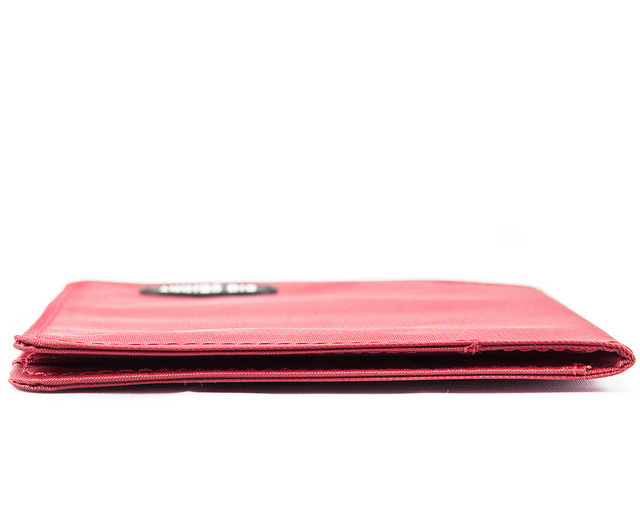 Lightweight, easy to find red, holds passport and essentials. All the varieties are super! This one is great for travel, but I also like small one for same reason. ConsIt happens that NYC metro cards are destroyed by magnets. So I have to keep that elsewhere. very light and thin. does the job well. no more bulky holders. 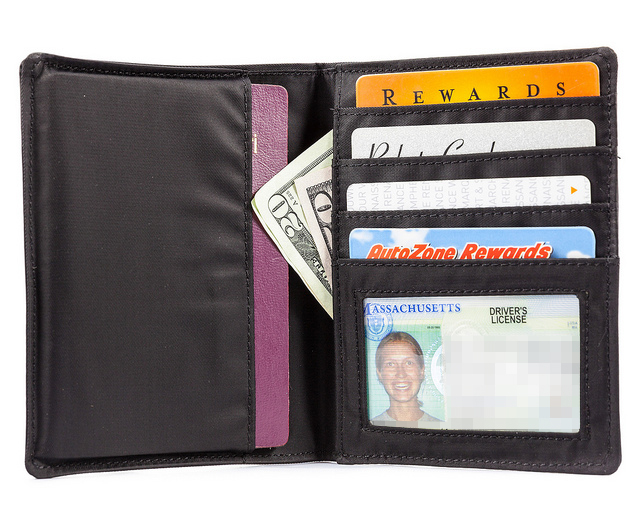 I was eager to purchase this for travel as I have a Big Skinny wallet, which is fabulous. I look forward to using this almost weightless item as my "wallet" on my next trip. It will hold exactly what I need while still remaining very light. I am excited about using this in Europe this summer. It holds all that I want it to in one central location and is so light it seems weightless. Believe what you read.